On August 17th The Foundation Performing Arts Center, on the campus of Isothermal Community College in Spindale, NC is honored to host a special free concert featuring one of the US Navy’s best touring music ensembles. 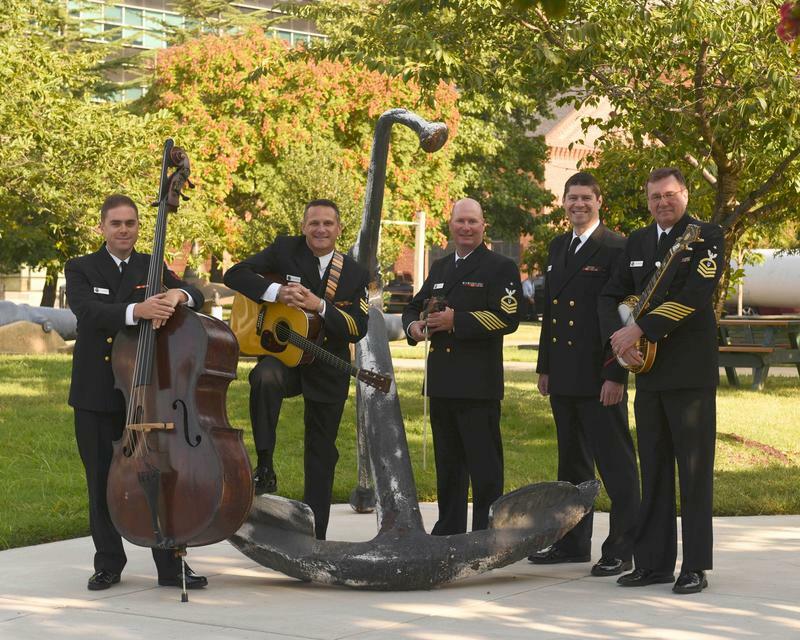 Country Current, the premier country-bluegrass group of the United States Navy Band showcases a five-member acoustic ensemble performing traditional, contemporary and original bluegrass compositions. Established in 1989, the bluegrass group began playing to standing room only audiences in libraries and concert halls in the Washington metropolitan area. Soon after, the group received national attention on TNN's "Nashville Now," WWVA's "Wheeling Jamboree" and at Opryland Park. Over the years, they have performed with legendary bluegrass artists such as Alison Kraus, Nickel Creek, Rhonda Vincent and the "Father of Bluegrass," the late Bill Monroe. The ensemble performed at the 1997 and 2000 International Bluegrass Music Association's (IMBA) "Awards Show" and "FanFest," and in 1994 they performed at the IBMA's "Showcase." This fabulous bluegrass band is in constant demand by the nation's most prominent bluegrass festivals, with appearances at the Wintergrass Bluegrass Festival, the Winterhawk Bluegrass Festival, the Music in the Mountains Festival and the Cherokee Bluegrass Festival to name a few. The concert begins at 7:30 and is free to all, although a ticket is required. Tickets are available at the Foundation Box Office Tuesday through Friday, from 11:00am-5:00pm and at the door the night of the performance. For information please call 828-286-9990 or visit www.FoundationsShows.org . The Foundation Performing Arts & Conference Center produces an annual performing arts series, and is located on the campus of Isothermal Community College at 286 ICC Loop Road, Spindale, NC 28160. For rental information call 828-395-1454.